That turkey, he’s so jerky! Running around SL throwing feathers around, knocking stuff down, being loud and obnoxious-it’s time to hunt him and bring it to a stop! Fantastic designers are having their stores littered by this turkey-starting point is right here at grumble where the turkey has left his feathers all over the sim! Find the orange feather to lead you to the next stop on the path of the jerky turkey. Find the feathers to find the jerky turkey and end up with gobbling gaggle of designer seasonal gifts! COME AND HUNT FOR THAT JERKY TURKEY- Nov. 3rd-30th. Thank you all so much for your support, as a little Thank you i made the VIP group free to join until 31th October – so all of you Hairlovers, be quick, b’coz the groupfee will go back to 150L$ by the 1st November! Also while your here, grabbin’ all the Gifts, slapping the MMBoard and playin’ the Luckys, make sure to shop the 50% Sale – yus, EVERYTHING is marked down 50%!!!! – dont forget to activate your grouptag to earn storecredit! Happy Shopping – Happy Hunting – Happy Weekend! Here’s a quick update for you, so you wont miss any deals or gifts. Ohh piece of candy…ohh piece of candy…that boo! bunny is a jokester! Dressed as a ghost, yelling BOO! at everyone, stealing their candy and running away-little does he know he’s left us a trail of shiny wrapped yummies to help hunt him down. The Boo! Bunny is a fun Halloween hunt -Follow the trail of candy and you’ll be led along a path of clues to hunt down your themed prizes! The Mad Circus has opened its doors so dont waste a second and jump over to step into the MAD CIRCUS bizarre & explore your inner fears. Dark, twisted, Alice in Wonderland, freak show galore….exclusive, 10 L specials, & gachas! 90 designers and 150 gachas! 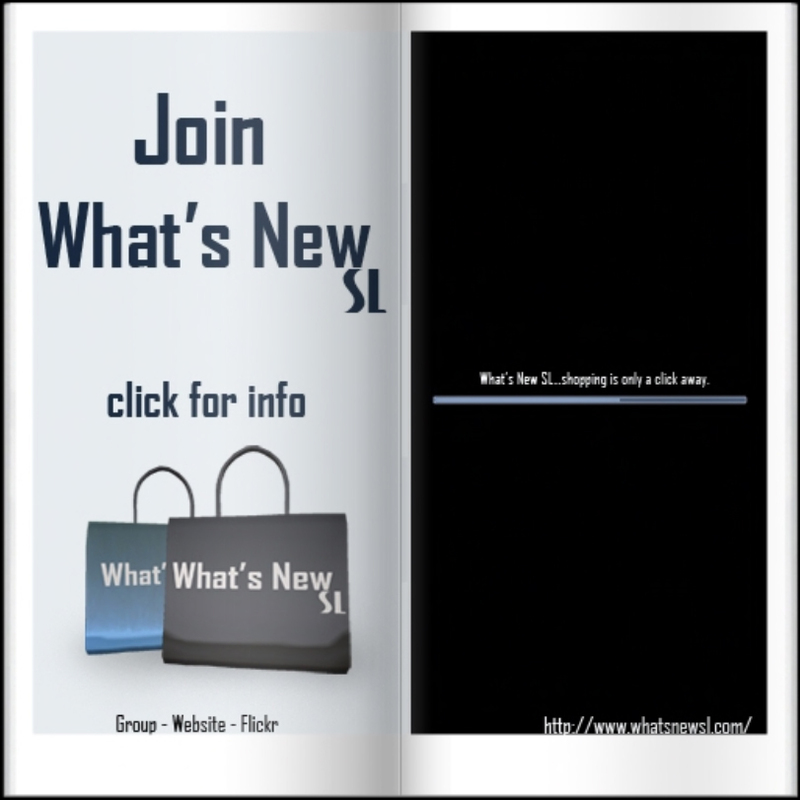 * Groupgifts / Luckyboards / Midnight Mania -> Check out the new Groupsection in the new Store! To celebrate Halloween and the new Store I put the whole Store on Sale, so EVERYTHING will be 50% off till the end of October – Wear you .EscalateD. Grouptag to receive 5% Storecredit – and you can use the Storecredit during the Sale as well! Also while your here, dont forget to do the BOO! Bunny hunt and grab all the Gifts! Swing by and pick up this new Gift in the GroupyRoom – NOTE: This Gift is restricted to the group Hair SL – you have to wear this Grouptag in order to get this Gift – A Special Edition of the newest Release Merle with a 15 Shades of Blue HUD for Base and Streakcolors / called Blitzeblau for HairSL (HUD to change Hairband colors included) – have fun! NOTE: This Colorshades are specially made for this Group – so they wont be for sale to anyone else! Mix and Match Base and Streaks and Combine this HUD with other HUDs from this Hairstyle! Hop over to the MAINSTORE and you’ll find this new Gift in the GroupyRoom – NOTE: This Gift is restricted to the group SL frees & offers – you have to wear this Grouptag in order to get this Gift – A Special Edition of the latest release Larissa with a 15 Shades of Pink HUD for Base and Streakcolors / called Pinkischninki for SLFO (HUD to change Hairband colors included) – have fun!